PebbleZ.com is the source for all of your natural stone home decor needs. Our catalog includes hundreds of decorative and functional accessories made from a variety of materials including Marble, Slate, Onyx, Gemstone, Travertine, Sandstone and Quartz. Due to the inherent properties of natural stone, each piece is a one of a kind, with the colors in the surface of the material forming in distinct ways. This ensure that any item which you recieve from us will be unique in appearance, and nobody else in the world will own anything that looks quite like your piece of home decor. Rustic Stone Home Decor - Sorted by type of stone, Gemstone, Alabaster, Marble, Onyx. We have over 20 years experience working in the natural stone industry. During this time we have acted as direct importers, distributors, manufacturers, fabricators, and designers, and have been involved in almost every aspect of the business. This website brings together the knowledge and experience we have collectively gained over the years, and presents it in a simple, easy to use interface. If you have a need relating to natural stone, whether you are looking for products, materials, or just basic knowledge, you can probably find it here. 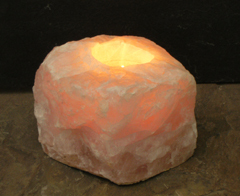 One of the featured displays on this site is our totally original line of natural stone home decor products. Including products as diverse as wall clocks, drink coasters, coffee tables, onyx lamps, trivets, and chess sets, the entire line is crafted from real stone, and is not available anywhere else. We are also the direct importers of several decorative stone products including marble vases, stone ash trays, fossil book ends and many other items of which we are the only source in the United States. 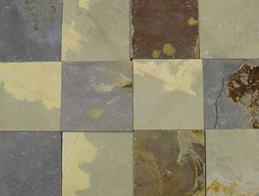 Our line of natural stone materials is noted as being particularly rare and unique. Our specialty is in supplying projects with stone that other companies do not have and can not get. This makes our product line particularly useful for jobs that are trying to create a look that is unusual, and different from the common mold. Located in Long Island, NY we have a manufacturing facility as well as a several thousand square foot warehouse. Working with a team of dedicated stone professionals, it is our passion to produce the highest quality work, and to help our customers find the perfect solution for whatever your natural stone needs are.